» 5 Qualitykc French Bulldog Puppies Ready Now!!! 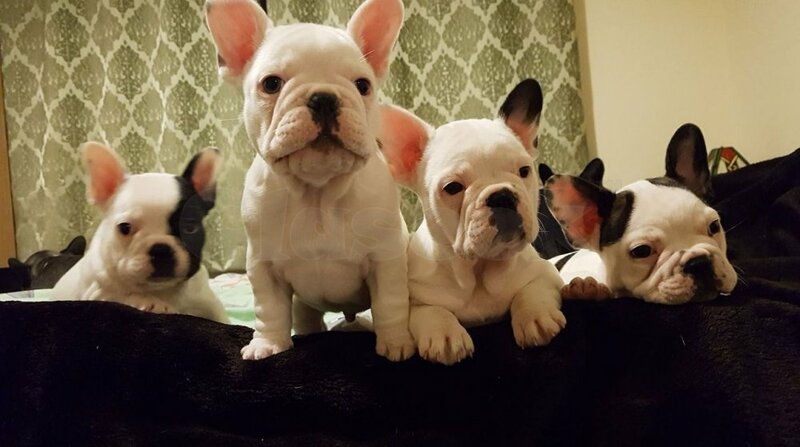 5 lovely French bulldog puppies are looking for a new home. The puppies are 2 months old. 3 puppies are boys and 2 are girls. They are always playing and are full of energy. All puppies are friendly and they like other pets. They are being house trained and are learning very quickly. All puppies have been vet checked, wormed, have 1 vaccine, microchiped and they have 5 KC pedigree. The Mum lives with us so you can see him and the puppies together. Mum is white and red , father is blue-silver . We would like if good people took him because we want him to be happy, well looked after and be treated as a family member.